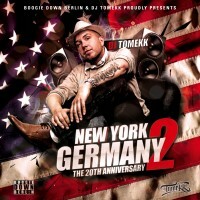 „1,2,3 …Rhymes Galore (Remastered)“ aus New York to Germany (The 20th Aniversary) von DJ Tomekk feat. Grandmaster Flash, Afrob, Flavour Flav & MC Rene. Veröffentlicht: 2012. Titel 2.